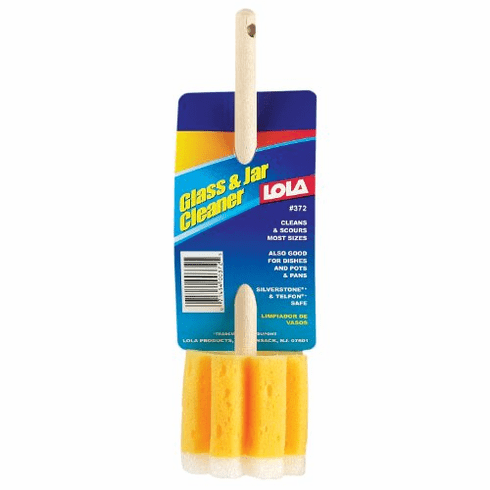 Lola's glass and jar brush has a long and narrow design that makes it perfect for cleaning glasses, stemware, bottles, jars, cups, thermals and coffee pots. Made of non-scratch material, the glass and jar brush is safe to use on fine glass and nonstick surfaces. Features also include a sturdy wood handle with eyelet for hanging storage solutions. By Lola. Lola has been an industry leader for 40-year, supplying high quality and time saving cleaning solutions for everyday use.